I have to start by admitting: I'm not a big fan of New York City. Crowds, rude people, muggy and sticky Summer days, and traffic. It doesn't sound like a dream vacation, right? But then, there is Broadway, Central Park, the Met, the MoMa, Soho, the Village... if you know your way around, New York can also be fascinating. But choose your hotel wisely, because you will need a place to regroup and rest - specially during the hot summer months. You also can find hotels in Times Square - Mariott Marquis, Doubletree Times Square, Hyatt, Renaissance, Hilton at 42nd - that are located right in the middle of the action. It's hard to get to them, traffic and people everywhere, and all of these hotels are overpriced and overrated. Not my cup of tea. There is a Hilton Garden Inn on 8th Ave and 48th Street that is highly reviewed on Tripadvisor, with reasonable rates and on a safe distance from the the crowds. 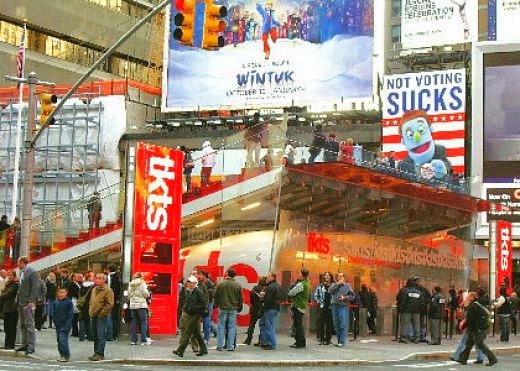 Nothing luxurious but convenient, if you are in New York for more than one Broadway shows. There are also good hotels on Lexington Ave with much better rates if you don't mind to walk a lot more. The Doubletree Metropolitan on Lexington and 51st is a cozy and quiet hotel with amazing rates. I stayed there several times and always had a great experience, but far from Broadway. So, what are the hottest shows on Broadway this season? First the Tony Winner for Best Musical: "A Gentleman's Guide To Love and Murder", a creative comedy/farce that is entertaining but not the Best Musical on Broadway by any means. 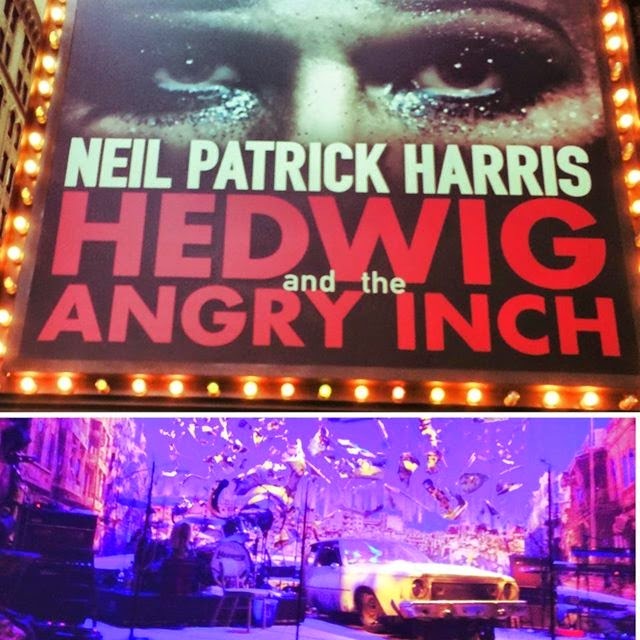 "Hedwig and the Angry Inch" won the Tony for Best Musical Revival and Neil Patrick Harris won for Best Actor in a Musical. This show is not for everyone but Harris delivers an amazing performance and he will leave the production on August 20, and I don't see how someone can replace him on this role. 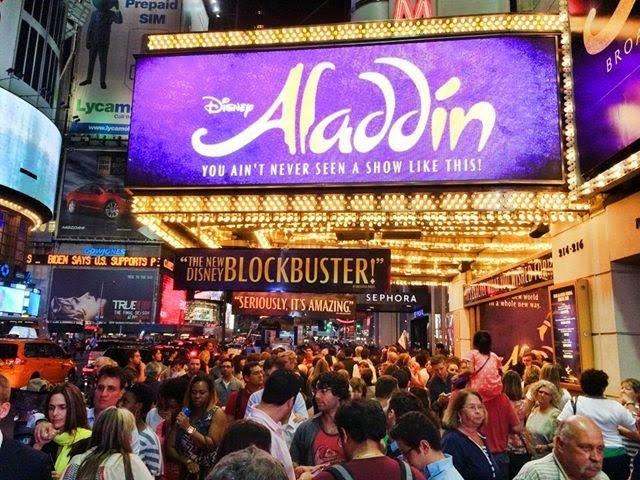 If you are planning on seeing one musical on Broadway within the next few years, look no more... You MUST SEE Disney's Aladdin. I'm not a big fan of Disney overall, but this show knocked me off my feet. 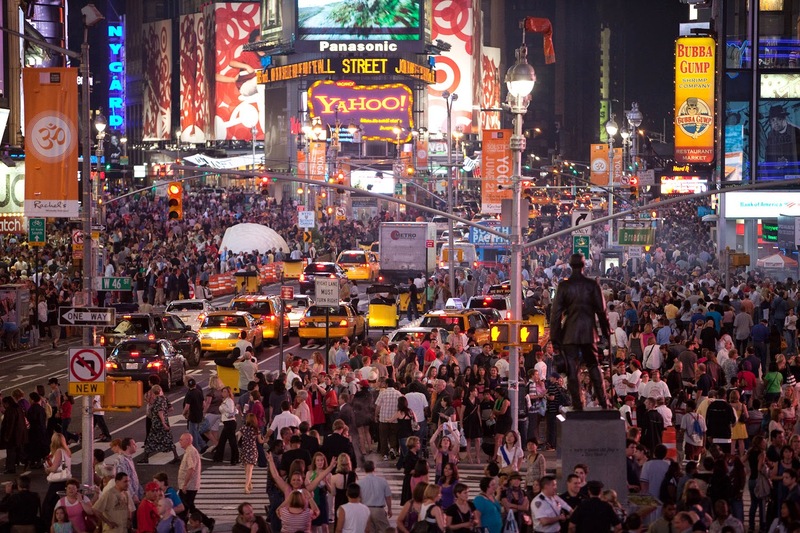 It has the best that Broadway has to offer in a large and extraordinary way. The crowd goes wild with stand up ovations after most musical numbers. It is so good that it hurts! You won't find discounted tickets for these three high demanded shows. Buy way in advance for good seats and regular prices or go to www.stubhub.com for scalper's prices. In between shows you can go for a bike ride in Central Park or a stroll in Soho or the Village. Spring Street is charming with my favorite eatery in Manhattan: Spring Cafe. Enjoy the Big Apple but don't stay too long or you might fall in love with The City. I have to agree that there are better places than NYC on this Earth. But New York has some special kind of charm, but is sadly too expensive for me to visit frequently. 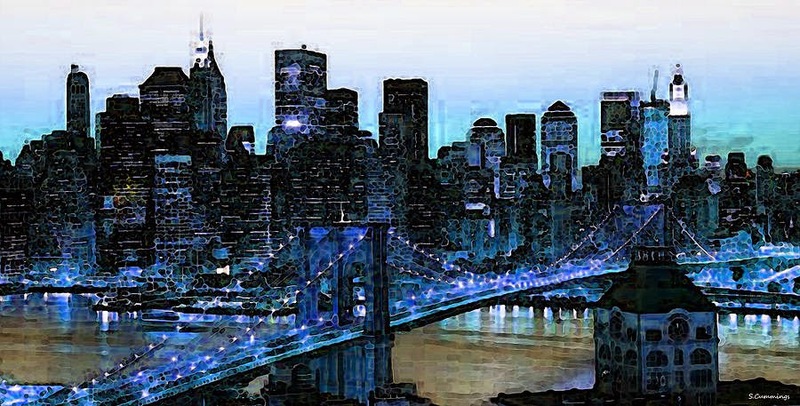 One of the better deals I've found is Cheap hotel deals in NYC and I'd love to recommend them, but they are still pretty expensive, compared to most countries/cities in Europe.